Stand place paid for now ... probably just me in the car, but I may try to persuade someone to come with me. I am still a paid up club member! Is there a list anywhere of who’s going along? The only exception I'll acknowledge is Nigel's GT86 - loaded to the gunnels with food & drink as it usually is,for consumption by club members,then it's a legitimate support vehicle. If you're a club member and no longer drive an '8 then by all means come and visit us on the stand..just park your car in Joe Public's car park. I'll stand by my opinion - RX8's on the RX8OC stand. 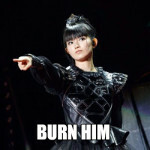 But hey..what do I know..
You are being far too extreme in your dictates Seejay. We are a very open and friendly club and I can remember you saying to me one day how terribly clique and bitchy the RS Owners club was. Yes this is the RX-8 owners club and people join initially because they have an RX-8 but I am sure you have noticed there are numerous members who have moved on to other cars yet remain in the club because they have good friends because it's the people not the cars that really make a car club what it is. Anyone coming in a non JDM vehicle has to park in the public car park anyway so no issue there. 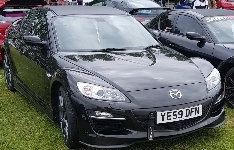 It is not the club policy to exclude non RX-8 cars from our stand, if it was we would not be sharing with the MRC and welcoming 7s and MX5s to join us. You are entitled to your opinion of course but you are not entitled to stipulate that members cannot park on the stand unless they have an RX-8 and I request you desist from posting such categoric statements. Now lets all move on focus on rustling up bookings for the day. So me thinking of bringing my MX-5 has kicked up a sh*t storm has it!! In that case scrub me off the list. Oh, and if being a non-RX-8 owner excludes me from fully utilising the remainder of my Club membership (bought when I did have a RX-8) do I get reimbursed the remainder of my subscription. The Club can’t have it both ways!!!!!!!!! Pissed off. Remove me from the list!